WIC is a federal nutrition program that provides nutrition information, breastfeeding information and support, nutritious foods, health screenings, and referrals to other services. You must have a nutritional health risk. The WIC staff will be able to find a risk by checking your height, weight, and iron count, and having you fill out a nutrition questionnaire and medical history. Your gross household income must be within WIC Guidelines (see below). Note: You may have a job and still meet these guidelines. *Pregnant women count as two. If you are on TANF, Medical Assistance, Healthy Steps or Food Stamps, you will be eligible for WIC. 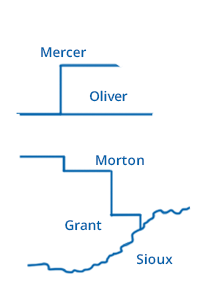 North Dakota WIC Program Provides complete details about the North Dakota WIC Program.